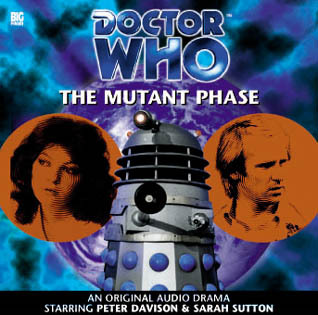 A few weeks ago I mentioned that for whatever reason, I had failed to finish two of the Big Finish audio plays that I listened to way back when I originally ran through the first thirty or so. In the case of the Apocalypse Element, it had to do with the fact that I initially listened to these before I went to bed, and found this one really boring as I fell asleep during it. On a second listen, I realized that I didn’t recall much of the story (thus assuming that I did in fact doze off a bit) but I don’t believe I ever listened to the whole thing! 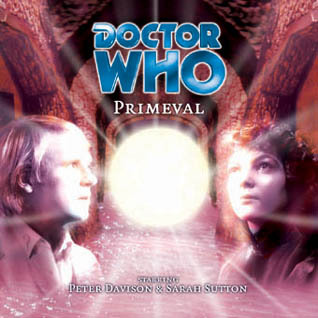 While there were a few problems, I’m glad I gave this a second shot, as it is a solid drama, and another great example of why the sixth Doctor really works if the writing is really good. “When the planet Archetryx is threatened by a Dalek assault squad, the Doctor and Evelyn become embroiled in an ever-deepening mystery. What has become of President Romana, missing for twenty years? What lurks in the vast gravity wells of Archetryx? What is the secret of the ancient element the Daleks are synthesising – and how does Gallifrey feature in the plans? 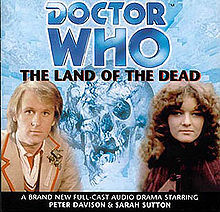 It’s easy to dismiss this drama as nothing more than pure act of fanwank, as it basically exists to fill in plotholes ravaging the Doctor Who canon for years. I honestly think that this view isn’t very fair at all. 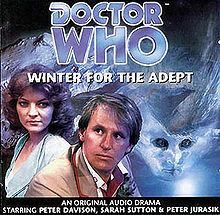 First of all, this play contains the first Big Finish, and more specific, Doctor Who appearance of Lalla Ward since her departure in the TV serial Warriors Gate. This Romana is different from the Romana that we are used to; she’s been imprisoned for the last twenty years, and it’s not evident if she’ totally trustworthy after her ordeal. Ward does a great job showing a more emotional and even fractured side to Romana, a far cry from her chipper know-it-all personality from the show. 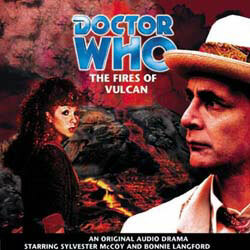 I may be in the minority, but I never did like Romana in some of her appearances with Tom Baker. This is because I dislike companions that constantly try to outsmart the Doctor. Much like Adric, Romana always knew everything and came across like a jerk sometimes. Don’t forget that she was there when the show was slowly turning into the “Tom Baker comedy hour” so we had The Doctor being a goof, followed by Romana rolling her eyes in each episode. So yeah, about those plothole fillers – we have many occurrences where this drama attempts to “fix things” that may not have made sense in the show. To be honest, this can be a bit too much at times, and almost seems like the writer had an agenda with the story (I’ll fix all the problems!). These problems that are “fixed” in the play include the use of a human retinal pattern being used specifically without explanation to open the “Eye of Harmony” from the 1996 TV movie. This agenda clutters the story of the play, and makes it obvious that too much is going on. 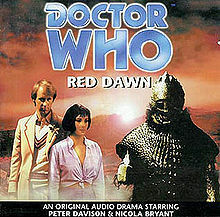 We have the return of Romana, the Daleks Invading Gallifrey, the Daleks eradicating another planet, a zany Dalek scheme etc. It would have worked better if it was longer. 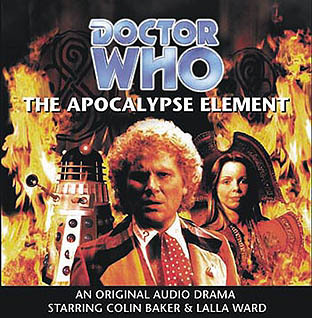 Doctor Who – The Apocalypse Element is a good drama albeit one that tries to do far too much. While the story is exciting, it seems a bit cluttered with returning characters, subplots, and various other problems. 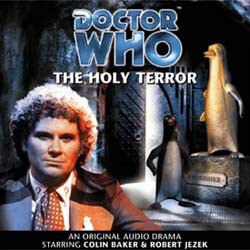 With its problems, I honestly enjoyed the play, and continue on my Colin Baker reconciliation tour! 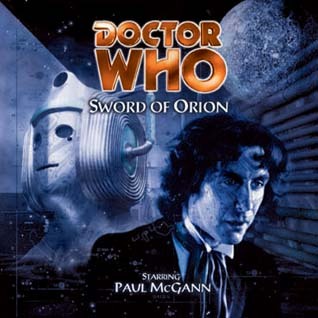 Hot on the Heels of my last Big Finish audio review, we have yet another Paul McGann /India Fisher Eighth Doctor audio drama to take a look at. This time we have the return of one of my favorite villains of all time – the Cybermen. 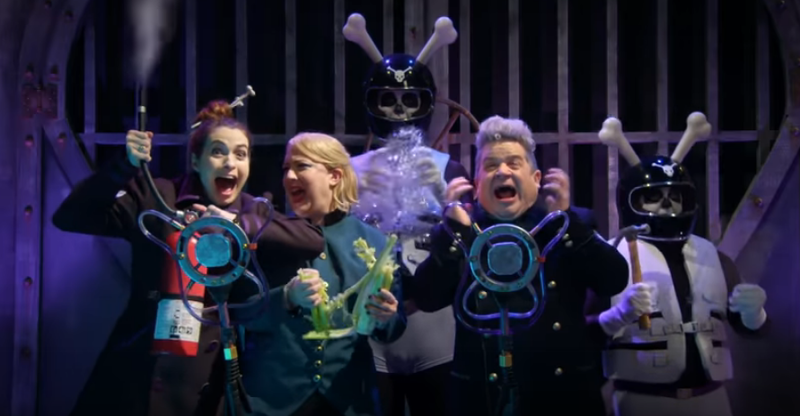 This play actually marks the very first time we see Cybermen appear in one of these plays, and this is a good thing. 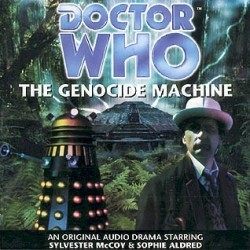 After having a ton of these already star the Daleks, it’s good to see other classic villains get sprinkled in. “The human race is locked in deadly combat with the ‘Android Hordes’ in the Orion System. Light years from the front line, the Doctor and Charley arrive to sample the dubious delights of a galactic backwater, little suspecting that the consequences of the Orion War might reach them there. But High Command’s lust for victory knows no bounds. What really stands out to me in this episode is the sound design. This story could have had a horrendous story, and I still would have liked it based on the atmosphere alone. Not only is the music well done, but the care at which the background noises and sound effects were produced sets a benchmark, for me at least, that no other drama up to this one has come to. 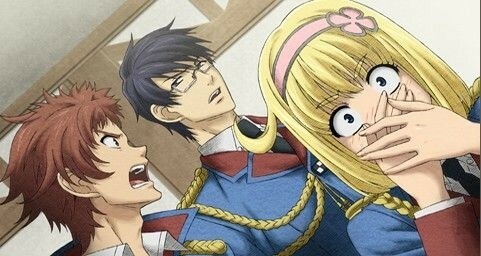 The first instance of this occurs at the very beginning of the play. 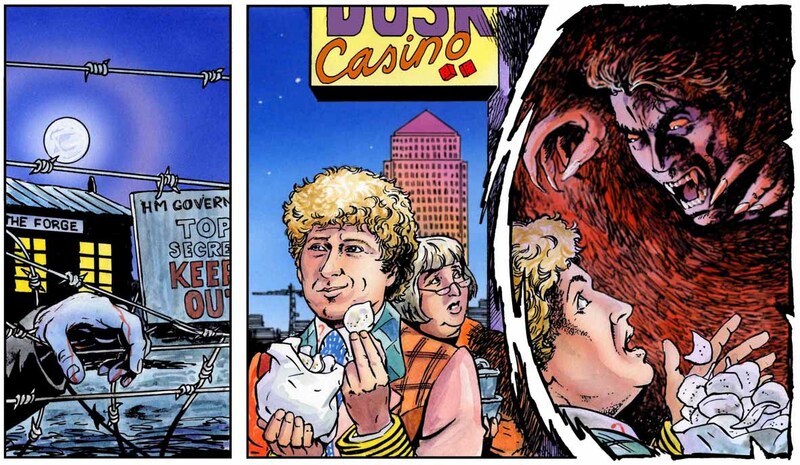 The Doctor and Charley are visiting a “space bazaar” of sorts to hopefully find a way to cure an ailing vortisaur, the creature that they met in the last episode. In this scene we hear layer upon layer of creatures talking, music, and idle chatter, all leading the listener to imagine a robust market side, hustling and bustling with tons of business. Another place where this stands out is when we finally see the Cybermen that we all know take part in the serial. For the first few encounters we only ever hear a creature that is attacking various people. The noises are both animalistic and insane, making this creature terrifying. Later we find out that this is in fact a rogue Cyberman that has gone totally mad waiting for its connection to a cyberleader to get re-established. After years of seeing sub-par Cybermen that either stomp around saying catchphrases, or are wussy enough that they can be destroyed with a flick of a gold coin, I feel that this is the sweet spot for the creature. Well this or the unsettling voice that the original Cybermen had, which is definitely nightmare fuel of the highest octane. While some of the side characters in this drama aren’t really all that well fleshed out, they do serve a great purpose to antagonize the Doctor and Charley when they initially believe the pair to be murderers of a fellow crewmate. These characters, the crew of a scrap ship, are your typical Doctor Who rag-tag, and somewhat mutinous ship crew. There definitely could have been a bit more fleshing out of a few of these characters, but it wasn’t really needed. Much like any Alien of Predator movie, some characters are just destined to be bad guy-fodder. 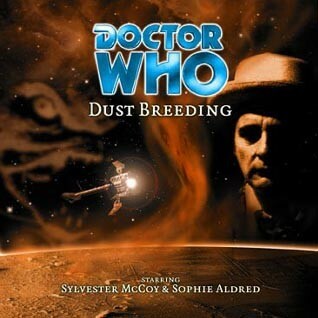 I’m not going to say that this is the best Doctor Who drama that I’ve listened to, but it really does have a great atmosphere and storyline to it. If this is the beginning of a quality plateau that holds steady for the next few releases, I’ll be insanely happy for the rest of the line. I remember being excited to import a copy of the Doctor Who television movie directly from the UK back when I got back into the show back in 2004. I had just purchased a region-less DVD player from China, and wanted to show everyone just how much of a nerd I could truly be. I had heard bad things about this movie, things that gave me absolutely no hope for it whatsoever. The movie could have been worse, but Eric Roberts basically ruined the whole thing for me; a fact that leads me to wish any character he plays in a movie the worst outcome possible. Remember that scene in The Dark Knight when Batman causes Roberts (as Sal Marone) to break both legs? Tears of pure joy from this guy. October, 1930. His Majesty’s Airship, the R1010, sets off on her maiden voyage to the farthest-flung reaches of the British Empire, carrying the brightest lights of the Imperial fleet. Carrying the hopes and dreams of a breathless nation. Not to mention a ruthless spy with a top-secret mission, a mysterious passenger who appears nowhere on the crew list, a would-be adventuress destined for the Singapore Hilton… and a Time Lord from the planet Gallifrey. The future of the galaxy will be hanging by a thread. The Eighth Doctor was definitely an underrated version of the character. 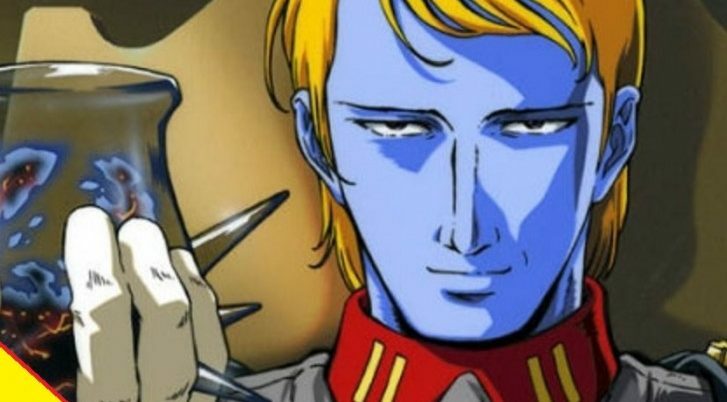 Not only did he feel cheerful and somewhat goofy, but he definitely had a romantic and adventurous side; these are traits not really seen for a long while in the television show. The eighth Doctor definitely looked to be more of an Indiana Jones type of character, and that definitely is the case in this revival. I’m a fan of the darker Doctor’s as well, but the wide-eyed swashbuckling, name-dropping, and most importantly – fun Doctor is what I like the most; this could be why I seem to like Matt Smith’s take on the character so much. 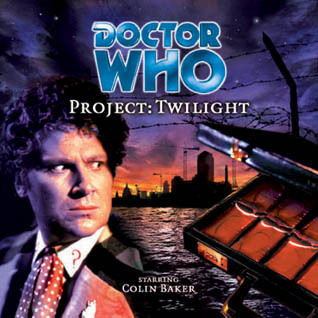 I did try to get into a few of the BBC Eighth Doctor Books at one point, but found quite a few of them to be depressing, pretentious, and a bit too un-Doctor Who for my liking. I’m glad that the continuity Big Finish has created at this point seems to have nothing to do with those books, as I probably would not have liked them much. 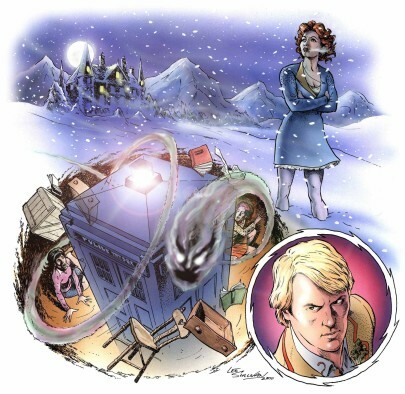 This drama seems to share a bit with the later Steven Moffat televised episodes of the show in that Charley is shown to be troublesome to time itself in the same way that Amy Pond seems to be. 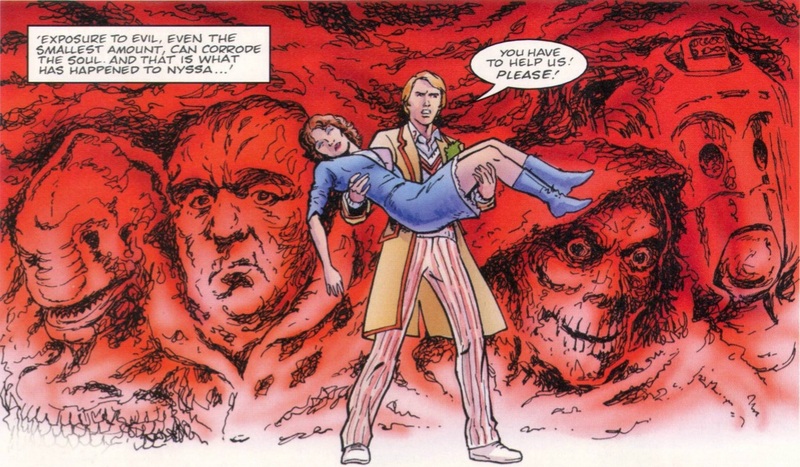 Since the Doctor plucked her from a large scale historical event, (the crashing of the R101), her mere existence afterwards is a paradox and causes him problems from then on. I like this little subplot, as it give any later audio dramas a plot to latch onto, rather than them just being a set of unrelated adventures. The actual plot of this story involves the doomed flight of the R101 dirigible, and much in the old Doctor Who fashion it is explained that such a catastrophe was somehow caused by aliens and the Doctor was there. We have seen this with the Titanic, The London fires, Pompeii, and basically any other disaster! The aliens in question are the Triskele, which are described as being “dolphin-like” I’m not sure how literally to take the comment as the description given during the play could also describe our typical view of “grey” aliens, but since there are no pictures that I know of, I imagined them as such. This could be my only fault with the play that I could find – there is a lack of descriptive remarks that give an idea of the way that characters and such look. This isn’t exactly a deal-breaker, but I would have liked a few more “that looks like a dolphin” type remarks to solidify any impressions I had gained. 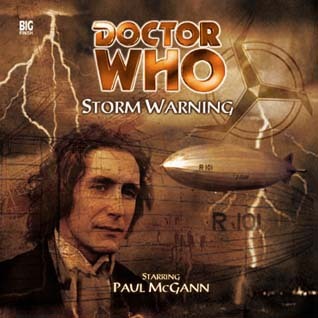 Storm Warning is a great beginning to a new series of Doctor Who dramas and kept me entertained the whole way through. This play has definitely re-kindled my like for the eighth incarnation of The Doctor, minus all the crap from the TV movie. I can’t wait to see what happens next. Synopsis: In a desolate Cornish landscape littered with relics of prehistoric man, the doctor and Evelyn uncover a catalogue of mysteries. 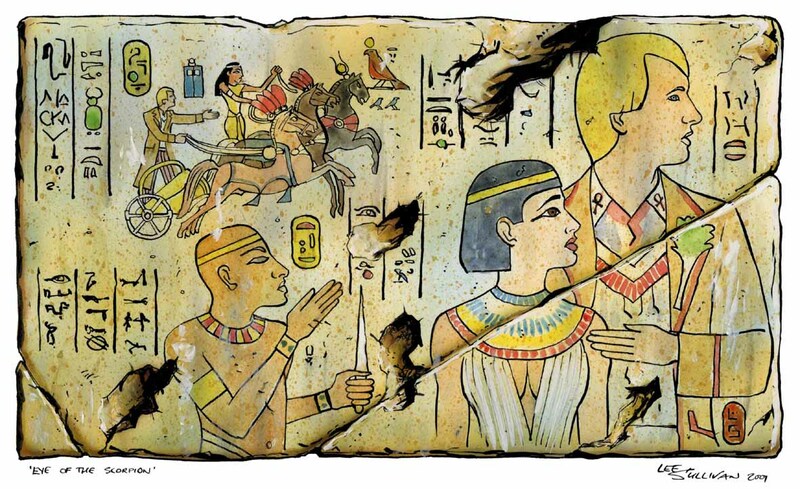 What is the secret of the fogou? Can the moor be haunted by a demonic host of imps? And what is Brigadier Lethbridge-Stewart doing in Pengriffen? 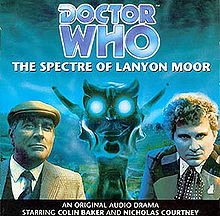 Teaming up with his old friend, the Doctor realises that an ancient conflict is nearing its conclusion – and Lanyon Moor is set to be teh final battleground. One thing that I always love in science fiction is when the writer takes a prominent supernatural occurrence (e.g. ghosts, elves etc…) and explains it away as either completely commonplace or something more. 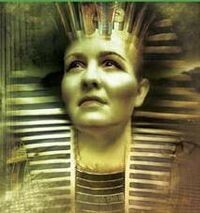 For instance the way that Gods in Stargate are actually powerful aliens that prayed on human faith. 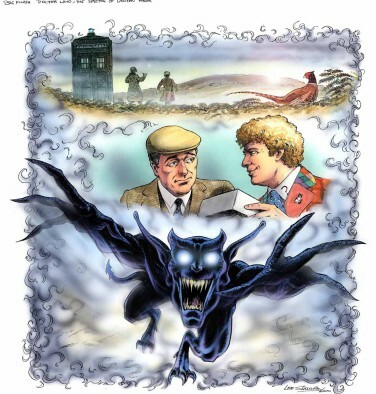 This particular Doctor Who audio play does this exact thing with the mythical creature – the imp. 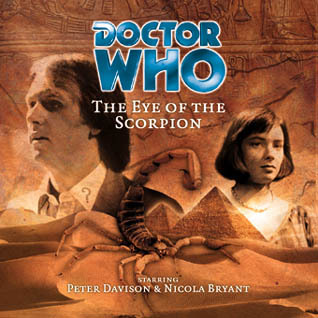 The story consists of the Doctor and his newest companion Dr. Evelyn Smythe investigating old Celtic ruins alongside an archaeological team and even the Brigadier! 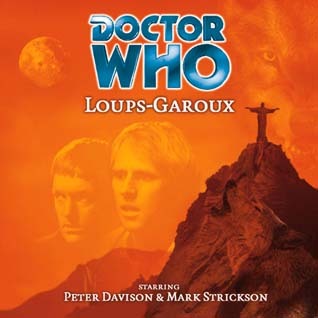 This play is in fact the first appearance of Nicholas Courtney as Alistair Gordon Lethbridge-Stewart in any Big Finish Audio release. It was always sad to me that the sixth incarnation of the Doctor as played by Colin Baker was never allowed a proper adventure in which he interacts with the Brigadier. Almost all other Doctors ended up with such an episode, but the closest thing we ended up with was the dreadful charity “special” Dimensions in Time in which I need to dissect one of these days. 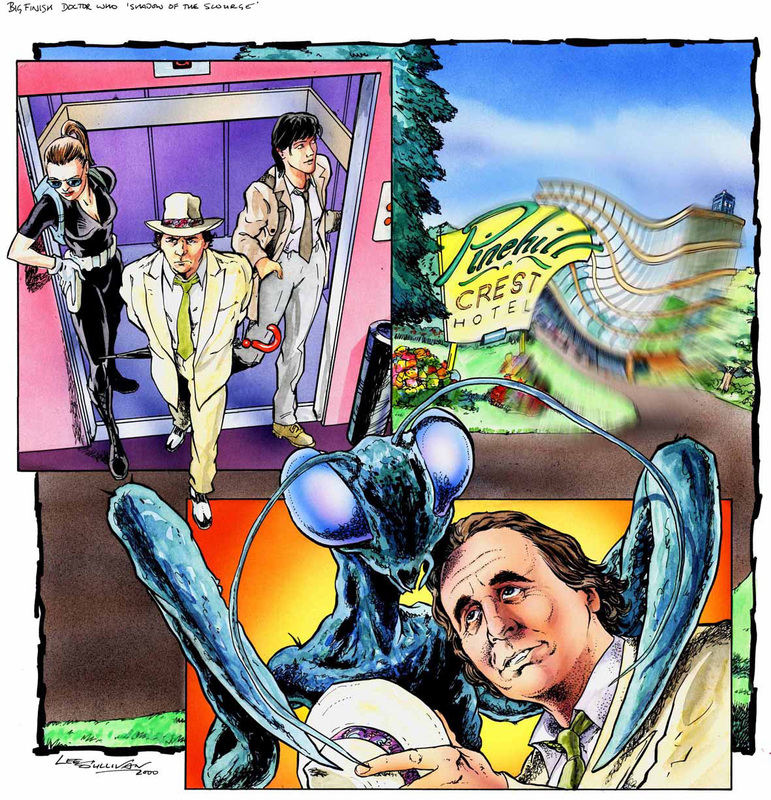 This episode has its ups and downs but was generally very entertaining to me, and sits as one of the better episodes of Big Finish Audio out there. The duo of Colin Baker’s Doctor and Eveleyn Smythe as played by Maggie Stables is a great pairing, and I really hope they do a few more stories together. Having the brigadier in this episode really helps iron home that this is, in fact, a Doctor Who story. It really seems the most like an old episode of the TV show that I’ve listened to.